In this article, you will find the 10 best and reliable travel agencies in Kerala which will make your tour outstanding for sure. Find out the travel agency that suits your needs from the list. Trying to figure out the top travel agencies in Kerala? Congratulations friends, you have clicked the right link to know the same. There are countless travel agents available in Kerala and but only a few of them are trustworthy. Though a good travel agency might help you in shortlisting the best places to visit in your budget, to find out the best places to stay at (in your budget), arrange for taxis or conveyances before you visit the place and even allow you to have discounts which might have been unavailable otherwise, a bad one might be worse than a nightmare. Hence, we have filtered the top 10 from the hundreds of tour operators available in Kerala to help you have the best vacations of your life. This is the leading travel agency in Kerala and is really admired for its top – level services. This agency has earned its reputation with years of good service and customers' support and hence deeply understands what it means to be a good travel agency. They have customized Kerala tour packages as per everyone's desire. This travel agency really offers you much more than you have ever anticipated. The Srees tour and travel agency is specialized in honeymoon packages, houseboat packages, hill station packages and a lot more. It is well – known for its superfast services. With this agency, you just make your mind, dial the number and book your dream tour. It is surprising but true that this travel agency has consistently ranked among the best travel agencies in Kerala. Let's comes to another travel agency of Kerala which is none other than Iris Holidays. Known for its outstanding reviews, this agency really earns its reputation in the market. This agency is engaged in providing the incredible and safe holiday experiences in the God's own Country – Kerala!! 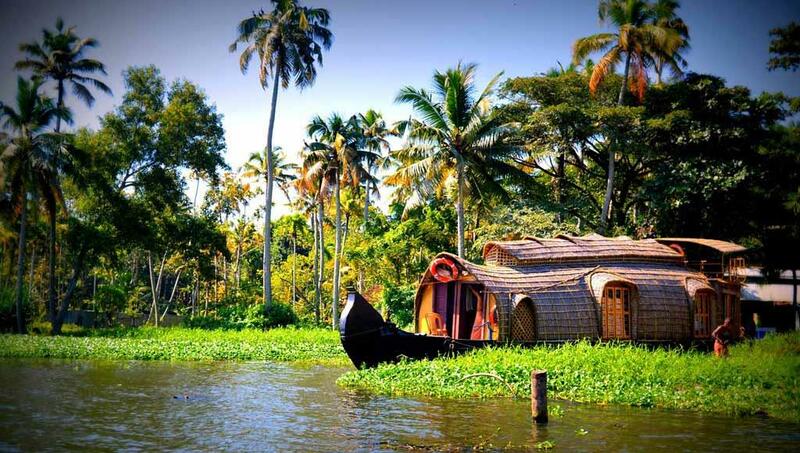 They're specialized in offering the Kerala honeymoon packages, Ayurveda packages, holiday packages, and backwater tour packages. This agency really values the money by making the trip more memorable with their warm services. Iris holidays agency is the 3 times winner of Tripadvisor certificate of excellence and is really appreciated by the visitors. Another renowned and reputed travel agency in Kerala travel exotica. It is the largest holiday package seller in the state. They have the team of well –set tourism professionals who ensure to make your trip memorable one, even beyond your dreams. This agency is engaged in offering the best deals and packages that easily fit your budget. They are specialized in tour packages, honeymoon packages, Munnar tour packages, houseboat packages, and a lot more. Among the Kerala tour operators, this agency is literally ahead in tour conduction, customer satisfaction, business volume, and is a premium holiday brand. This travel agency always gets positive reviews from the visitors which is really appreciable. Really, the name of the agency itself depicts the professionalism. If you are searching for the travel agency which is offering the luxurious packages then the travel planners are probably the perfect choice. This is the fastest growing tour agency of Kerala which is best known for its personalized and professional tour services. Along with that, this travel agency is the winner of several reputed awards which also makes it as the best choice. They provide complete financial security to all the clients and adhere to the government's rule and regulations concerning the safety of the client's money. The visitors are really satisfied with this travel agency and appreciate the same for its best quality services. The packages they are offering easily suit the budget of most of the people. Believe me, this travel agency really values your money and will never let you down. The reviews of the visitors regarding this travel agency are really outstanding and clearly depict its reputation in the market. With this agency backing your trip, you can really relax and enjoy, leaving everything else to them. This travel agency really provides the best price guarantee and saves your lots of time and money. If you're in a hurry and wish to book your package without wasting any time then I personally think that Yantra mantra is probably the only choice. Along with all the quality features, this travel agency is well – known for its live support facility. They come up with the mission to make your trip really enjoyable and memorable. Their customers are their priority and hence, they will do anything to their satisfaction. This brand new offshoot is really dedicated to make your trip a memorable event of your life. As far as its reviews are concerned, they are really outstanding. The tour packages offered by this agency ensure the comfort and contentment without compromising the quality and standard of services. Another reliable and trustworthy travel agency on my list is none other than The Holiday Mate. Known for its unbeatable and best quality services, this travel agency is specialized in countless tour packages such as the honeymoon, holiday, houseboat and much more. It is considered among the leading and reputed travel agencies in Kerala and really earns its reputed position in the market. The packages offered by this travel agency are not only luxurious but also in budget. If you're really in the mood of enjoying the best tour of your life then just visit this travel agency and rest assured. This is yet another top-level agency of Kerala which not only understands the needs of the travelers but is also ready to walk an extra mile to fulfill them. It is committed to offering the complete range of travel related services for your holiday tour. Its customized tour packages and in-depth destination knowledge are outstanding and admirable. The agency has been recognized for their meritorious and responsible contribution to the country's travel and tourism. Being the top player in this segment, this travel agency has thoughtfully diversified into all major areas of tourism. As the name implies, this travel agency really makes your holiday as a paradise experience. This is the leading tour operator in Kerala which is well – known for its customized tour packages. 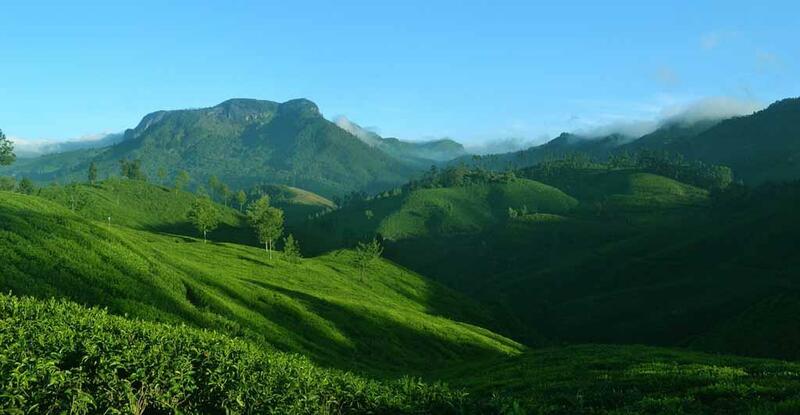 It caters to the needs of the travelers who wish to spend some quality time in God's own country, Kerala. It has the experience of almost 9 years and already served countless guests. It has been rated among the fastest growing tour companies holding values and maintaining personal relationships. The agency offers various packages where they extend their services to families, groups, and honeymoon couples with utmost care and quality. Here, you really get more than what you pay for. This reliable travel agency has been already ranked among the best travel agencies in Kerala and renowned for its positive reviews. Come to the next best travel agency of Kerala which is Galaxy travel club. It is one of the potential topmost tour operators in Kerala that is engaged in promoting the tourism at its best. This agency is well – known for its best customer care services. It is specialized in several tour packages such as honeymoon, houseboat, family, holiday and a lot more. It has earned its position in the market by offering the best services and great hospitality to its visitors. This is the composite organization where the wide range of tour and travel services is offered under one roof. Last but not the least in any sense is the Fortune Destination Management Private Limited. This travel agency offers the best deals for domestic and international tour packages. This is professionally run by package tour operators. In the greener words, this is the group of the renowned travel experts who offer the services way beyond than that one can envisage. Their expertise lies in their best quality services and 24/7 customer support. So, here you have the list of top 10 travel agencies in Kerala. So what you are waiting for!! 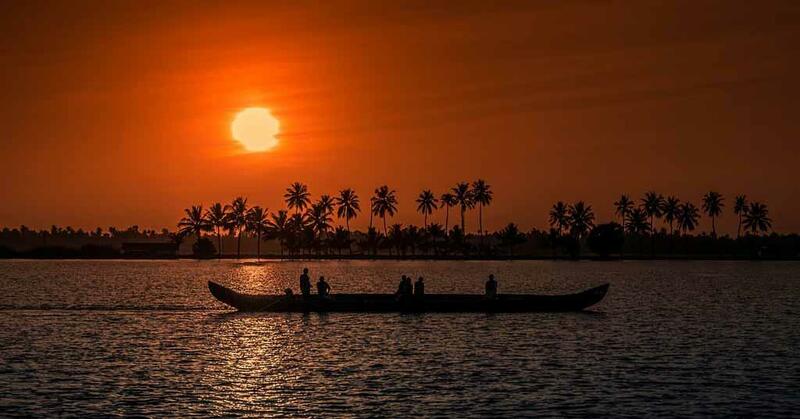 Pack your bags, book your dream tour and explore the God's Own country, Kerala…!! It would be great if the website links of these travel companies would have been published in top 10 travel agencies in Kerala along with their names or their contact details. Nice Information you provided about the Kerala Paradise Tour. Beautiful! Great article which gives information on the 10 best and reliable travel agencies in Kerala who can offer an outstanding tour experience as per your requirements. STS Travels & Tours (P) Ltd, an ISO 9001-2015 Certified,IATA,TAAI,TAFI&IAAI authorised institute as well as “Ministry of Tourism, and Department of Tourism Govt. of Kerala accredited travel agency. Incorporated in the year 2011 as an enterprising travel company, and is now one of the upcoming travel organizations in India. STS Holidays, a division of STS Travels & Tours is dedicated to service all our customers with a wide range of customized tour packages by offering responsive, competent and excellent service. The Primary aim of the company is to provide quality service to business and leisure travelers. Domestic packages are combined with best aspects of a professional travel management team will give an added advantage to the traveler which will make their travel safe and easy. STS sets its goal as a leading consolidator in Air Tickets besides offering Visa, Bus, Car Rental, Religious tours and much more. Our core objective is the value oriented service put together with technology innovation to help our clients by giving them a personalized attention at all times. The list should definitely include Kerala Holidays Pvt. Ltd. one among the most reliable tour operators to Kerala. Yes, Rita is Right. To know more about particular travel agencies, If you provide Contact information details then it will be more convenient for readers. Anyway, the post is helpful. Do you think Experience Kerala Holiday Planners (https://experiencekerala.in/) will be on the list? They are greatly appreciated on TripAdvisor as well. Hi, Thanks for sharing the travel agencies in Kerala. I would like to add two more agencies to your list. I have a suggestion. I think TTC-THE TRAVEL COMPANY should be on the list. They are widely popular in their outbound services. Great article explaining the top 10 travel agencies in Kerala. Tours in India is a well-known Indian tour operator offering profitable tour packages for all genres of vacationers. With us, you'll be able to get the best deal for every kind of tour packages. Contact us at: +91 8907413021 (24 hours helpline).